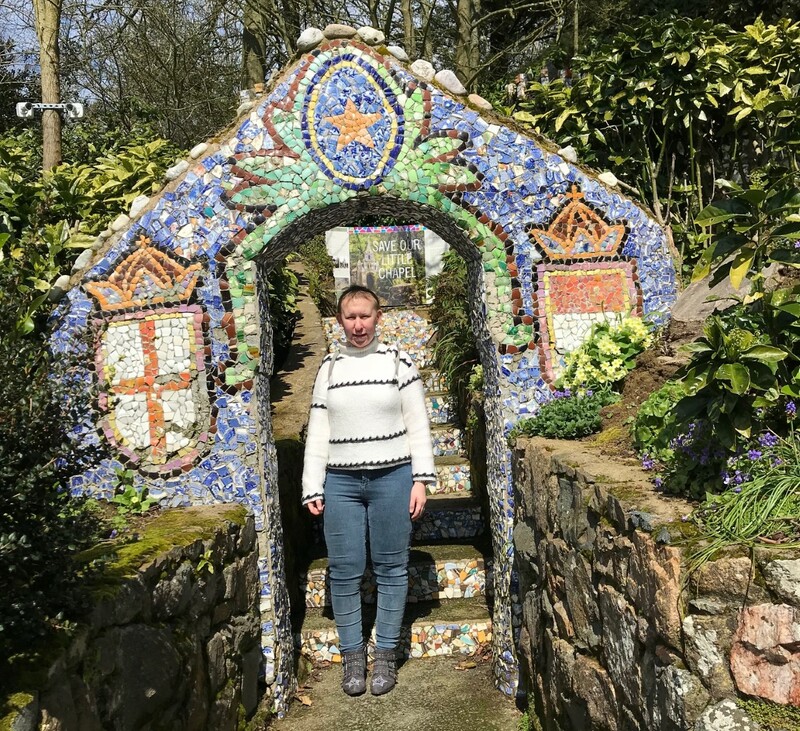 In my Guernsey travel post which you can read here, I mentioned that we went on a day trip to the Isle of Sark whilst on our holidays in the Channel Islands. It is a small island which has a population of just 425. We got the boat over from Guernsey which took about 40 minutes. A return ticket costs £30, which was a very pleasant journey. We were told to look out for bottlenose dolphins and puffins, and on the day we went the weather was beautiful but unfortunately we did not see any on the journey there or back. Once on the island their main tourist attraction is to get a horse drawn carriage around the island with a tour guide. They have no forms of transport except bicycles to get around. The roads are that narrow nothing would ever get down, and the island is so small I reckon you could walk from one end to the other within two hours. The island is under the state of Guernsey, however has its own parliament to oversee the overall running of the island. We booked on to a horse drawn carriage tour and went for a look around the island. Some of the houses are beautiful all in the traditional cottage style, most houses are passed down the family line and house prices were expensive. We went on a one and hour tour around the island stopping off along the way to take in the views and take some photos. The tour was a great way to see the island, but lots of other tourists hired bicycles. What I really found interesting was how different life on the island really was. They have a row of shops as soon as you get on to the island with a supermarket and post office. They have only one doctor and one dentist, and any kind of in depth treatment takes place on the mainland in Guernsey. They have a fire brigade and police service who work part time. They also have a two person prison but they try not to use it due to the costs, and I got the impression it is barely ever used. There are a few little tea shops to stop and have cake and a drink at. We stopped at a little cafe which had an outdoor garden where we ate a lovely dinner in the sun. For the size of the island the church is large, it is beautiful and you can go inside to have a look around. There is a campsite and some guest houses which you can stay at on the island if you want to stay a little longer and explore the island further. It was a lovely day trip to the island and if you are visiting The Channel Islands, a visit to Sark is definitely worth it. 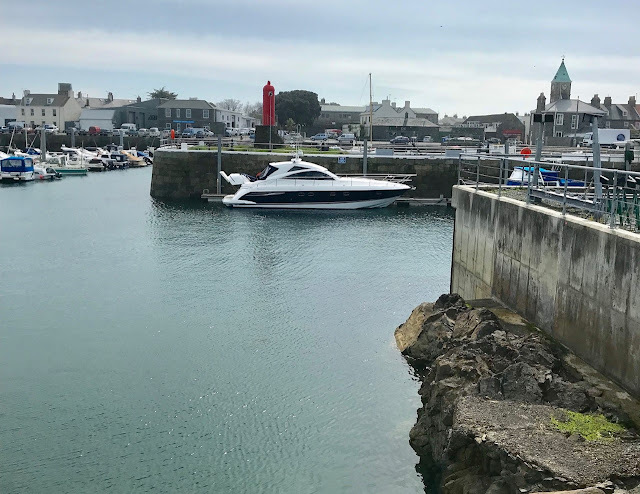 My latest trip took me to The Channel Islands, and we decided to stay on the island of Guernsey. My parents visited when I will a toddler and said the island was beautiful so we were all excited to go and explore. Unfortunately on the Monday which we flew out the plane was delayed. From Guernsey there are only a few flights a day from the UK. We flew from Manchester, and finally after a two hour delay and an airport evacuation we were on the plane. On landing there was a lot of fog and wind so we ended up hovering over the island for about an hour until it was safe to land. As the Channel Islands are to the south of the UK, right next to France the weather is all round much hotter than in the UK. We stayed in St. Martins which is a location which I would definitely recommend staying at if you visit Guernsey. We stayed in the Del La Mar Court self-catering apartments, which we were impressed with. It would be so lovely to stay there in the summer as they have a swimming pool in the centre of the quad of the apartments. Once we had dropped our bags off at the apartment we decided to go and explore. The main town of the island is St Peter's Port which was a 10 minute drive from where we staying. I do think hiring a car around the island is an excellent idea. We did see lots of buses which seem to provide a great transport link for citizens. However, a lot of the attractions which we went to were not centrally located and I think we would have struggled to get to some of them by using the buses. We spent our first early evening walking around the port and just enjoying the light sun with an ice cream. Our first full day exploring we dedicated to doing some of the museums. We started off by going to the German Occupation Museum. Lots of the museums in Guernsey are self-funded rather than by government funds. This museum was run by an elderly man who was so lovely and welcoming, and I think it was a great museum. Before this visit, I did not know a lot about Guernsey's history especially during the wars. 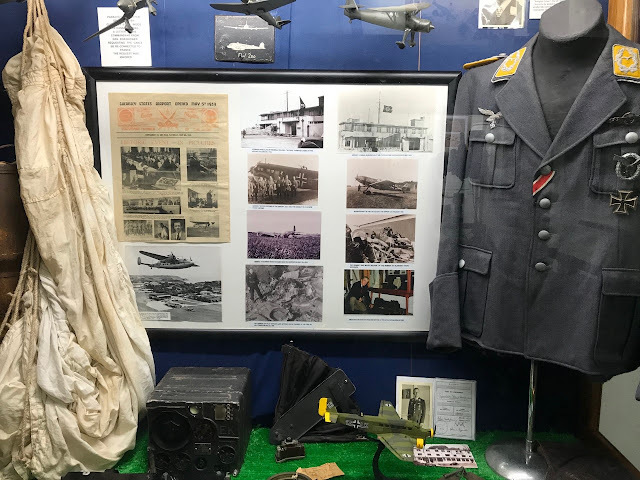 This museum focuses on World War 2, it provides a lot of insightful detailed information about the war and Guernsey's input. The island was occupied by the Germans in 1940 until the end of the war, and it discusses the evacuation of children and how the men were called up to fight with the British army. What me and my mum discussed after visiting the museum is how many items were on display, it has a brilliant set up and I hate it when museums are just all reading and nothing to relate or show what they are talking about. 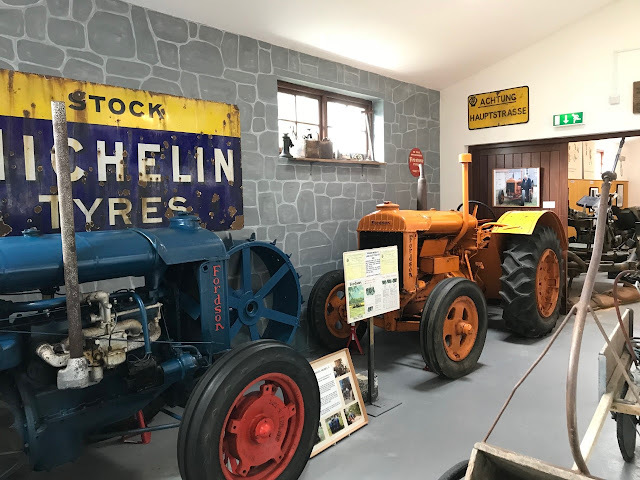 Overall, if you are interested in Guernsey history this is definitely a great museum to visit. On the way to another museum, we had read in our guide book about an attraction called The Little Chapel. 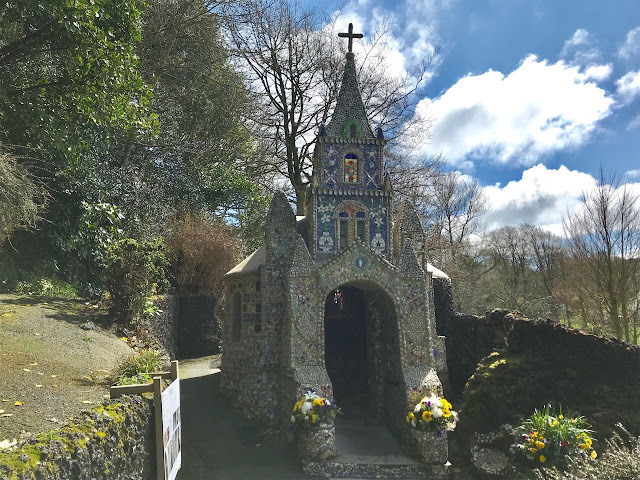 In the mid 1800's a man decided he wanted to build a little chapel (hence the name! ), he built it over a number of years. On completion, he put it on view to the public and unfortunately it did not have the success which he had hoped for, due to it being very small. He therefore knocked it down and started all over again, and created the chapel which stands today. 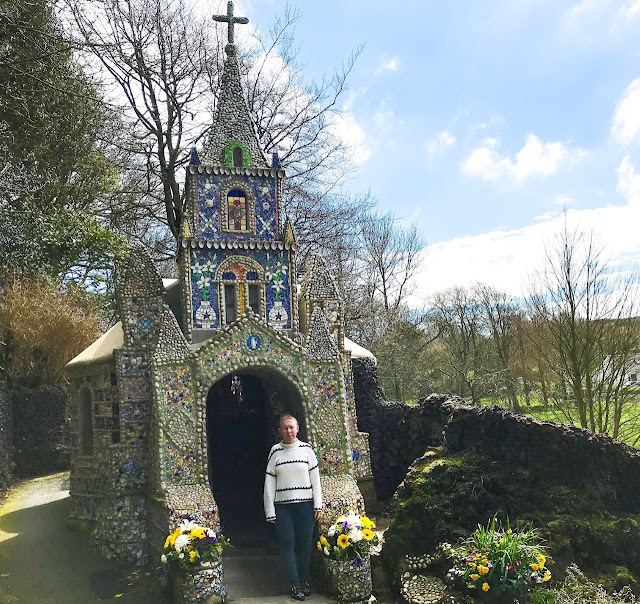 It is a beautiful little chapel which you can see in the picture surrounding the entire outside of the chapel is completely covered in different materials. It is very pretty to look at, and you are able to go inside. It has a narrow staircase where you go down to a little worship section. I told my mum it would be a great place to get married as it is so unique, but you wouldn't be able to have may guest inside! We really wanted to go to the German hospital war museum, as obviously I have an interest in the field of nursing and always love the look at the different ways medicine was performed and how it has changed over the years. When we got the museum unfortunately it was closed and a passerby told us it had been for a few months. After looking through the guide book at everything which we ticked off, we decided to crack on with the museums and headed to the German Arms Museum. We found that this had had much more hype than the previous German museum I have talked out. Our entire family is into history so museums are something which we all enjoy. However, this one was just not for me. It was just as I should have expected, lots and lots of armouries. There are only so many different rifles and guns I can look at without becoming bored. My dad very much enjoyed it, but me and my mum found a bench to sit on in the sun whilst he finished looking round. After lots of walking round we decided to head back to the apartments and eat in as we were not in the mood to go out to a restaurant. The next day we headed to an outlet place called Oatlands Village. It has a variety of different shops all selling different things. Some of the shops had homemade items such as sweets and chocolates, jewellery, homeware and gifts. There was also a great jewellery shop which had a half price sale on and I bought some lovely silver plated earrings. After getting some lunch in a lovely restaurant, we decided it was time to play crazy golf. I haven't got the best track record which playing crazy golf, my aim is not always on shot and I did loose. The sun was shining though and it was a barrel of laughs. We then went into St Peters port in the early evening for a look around the shops. On the 4th day we decided to take a trip out to a national trust site called St Saumersz Park. This is a beautiful park which was gorgeous as it was a sunny day. Within the grounds of the park, there is a Folk and Costume Museum. This museum presents Guernsey through the ages and has lots of different things to look and participate in. What I liked about a lot of the museums there were not too busy, we have all been to tourist attractions in the UK and abroad where you have had to shuttle around like a cattle market and it makes things much less enjoyable as you cannot stroll around at a leisurely pace. So you might be thinking that we must have been all "museumed" out by now. However, there was one museum that was recommended in every travel guide and was advertised widely throughout the country. 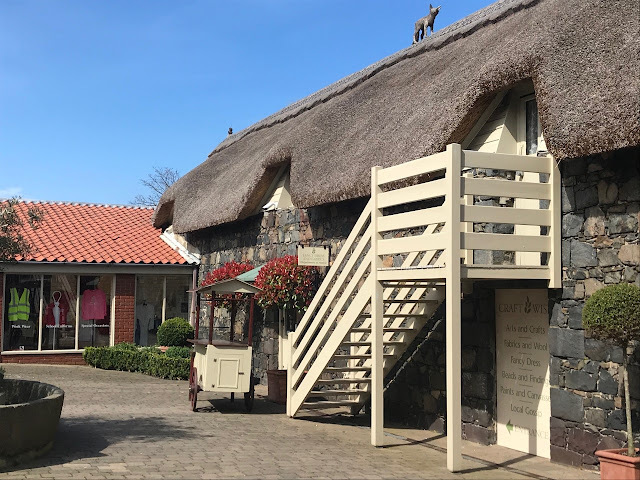 This was the Guernsey Museum at Candie, it is located as the name says in the Candie Gardens. Within the museum are lots of different galleries displaying different exhibits. 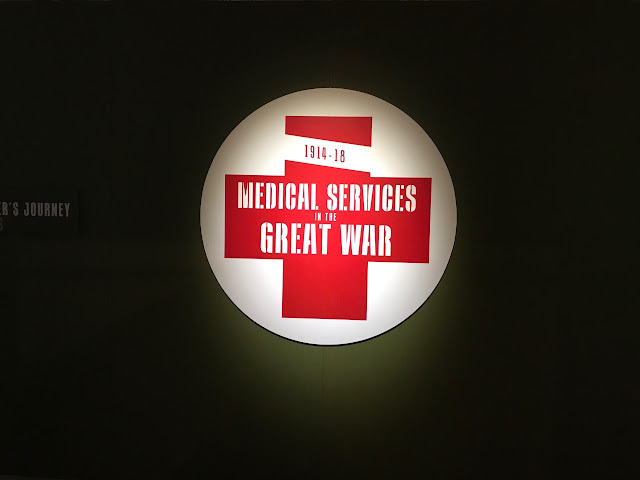 There was one collection called 1914-1918 medical services in the Great War, which was one of the best exhibitions I have ever been to. There was so much detail in the process of how the different medical services worked, and the different roles which everyone played during the years of the war. 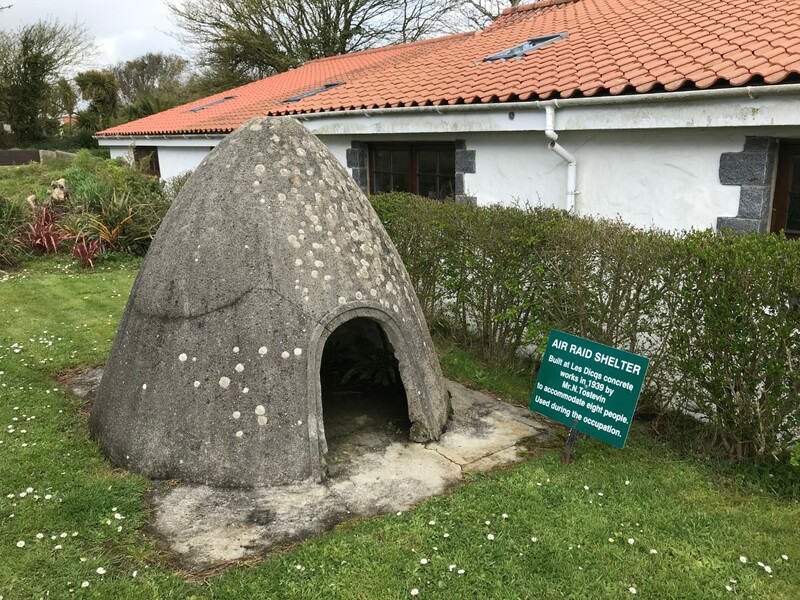 There was also an exhibit called the early people of Guernsey, which discusses how Guernsey became Guernsey and it takes you from the very start where they have evidence of the country being created, and through the different ages of time. 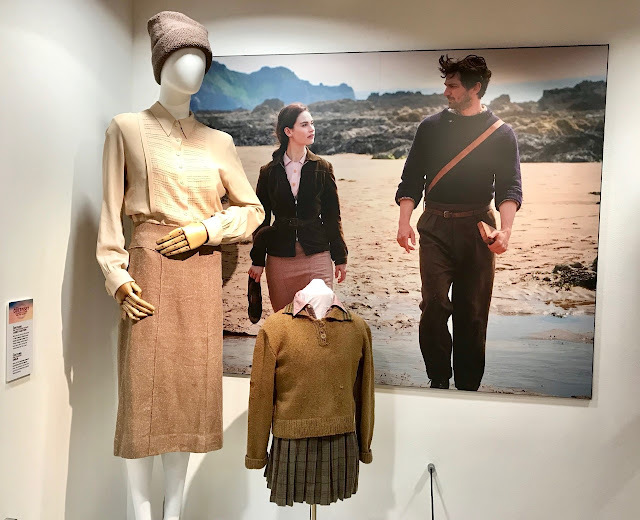 I learnt a lot from this museum, and whilst we were on our holiday the premiere of the new movie The Guernsey Literary and Potato Peel Pie Society was happening. There was so much hype surrounding the release of this due to the tourism it is hoping to create. In the museum they had clothing and some of the set from the movie on display. We decided to have some dinner at the museum, and there was a lovely cafe which out looked in to the Candie Gardens which was so tranquil and relaxing. We had always planned to do some day trips whilst on the holiday and we had hoped to visit Jersey. However, the flights between the two islands were expensive and for a day return trip for three of us it would cost over £400. There are a few much smaller islands which make up The Channel Islands and one of them is the Isle of Sark. I am going to do a full post dedicated to this as I have quite a lot to write about. We got a return boat trip to Sark which costs £30 and we spent the entire day there. Keep your eyes peeled for this post next week. The Sunday was our last full day on the island. We had a few things left on our list of places which wanted to visit. We headed to somewhere called Fort Grey which is a place that they used during the wars for a place to look out to sea. Inside the fort there is a little museum which tells you all about different ship wreckage's and the outcome of them. On the opposite side of the read was the Guernsey Pearl Museum. As the name suggests it sold lots of different pearls! It also gave lots of information of where you can source pearls from and how the size and colour depends on the pricing of pearls. In this museum and shop, they had a little tea room cafe which was lovely as it started to rain so gave us a little comfort break. On the last day our flight was not until 5.30pm so we had pretty much the whole day to do a last little bit of exploring. In the morning we decided to into the St Peter's Port to pick up some souvenirs and gifts from our family. I also did a spot of shopping for myself. We then headed to a cute little cafe called Dix-Neuf where has gone earlier in the week and had a lovely luxury hot chocolate. As I have said we hired a car on this trip, and the sun was blazing hot on this day so we decided to go on a little trip to one of their many beaches. We sat in the sun on the rocks edge with a picnic and some chips from the chip shop, reading our books and just enjoying the last few hours on the island. Once we arrived at the airport (which is tiny! ), the flight home was easy and we were very impressed as we did not have to queue for passport control in Manchester due to coming from a British isle. 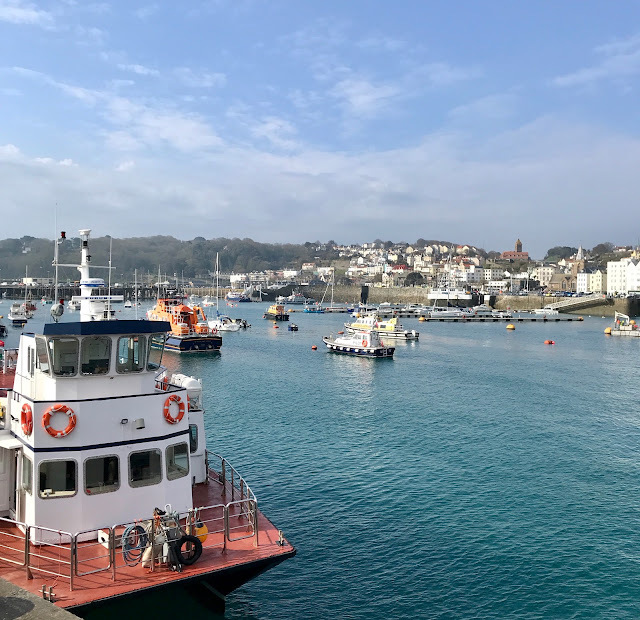 Overall, I had such a pleasant and relaxing week in Guernsey. Before I went I really did not know what to expect but I have to say everyone is so welcoming, and they all seem to live a very relaxed lifestyle which we could definitely incorporate into our lives back in the UK. I understand people's desire to live on the small island, as there is enough to see and do, but there main town is still understated and did not have the hustle and bustle which I think we have in the UK. I think Guernsey would be a great place to visit in the summer as I have said it gets beautiful weather due to its location. So thanks to Holly Boon whose YouTube videos are sensational at the moment, the second she uploaded her review video of this new concealer I instantly clicked the link. 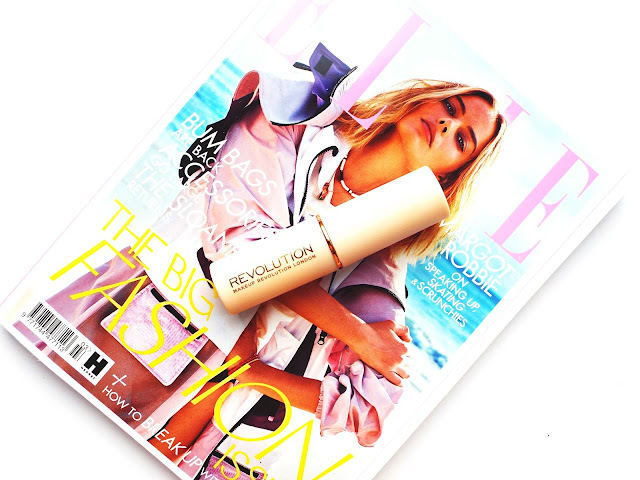 There has been a lot of hype surrounding the Makeup Revolution conceal and define concealer. It has been compared to lots of different high end well known concealers such as Nars' creamy concealer and Estee Lauder's double wear. 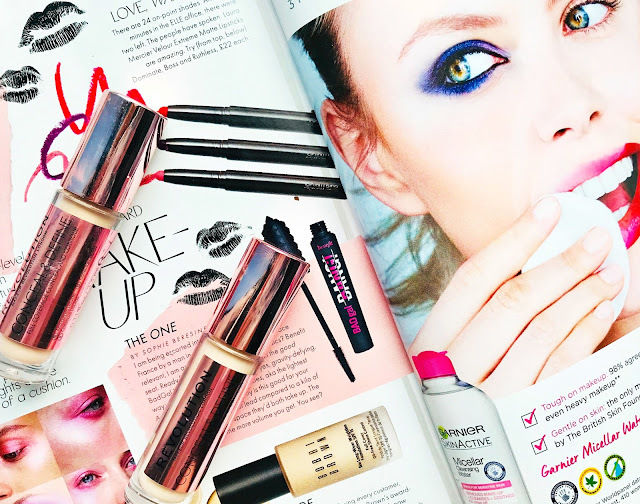 I love concealers they are one of my favourite makeup items as someone with areas of blemishes that I want covering up, I want a product which is going to do just that. What everyone was very excited about with this range was the large selection of shades. There is 18 shades which I think is fantastic, in 2018 everyone should be able to buy a concealer that matches their skin. I don't know what these companies who bring out three shades (cough, cough Collection) are thinking, there must be so much more profit in providing a range for all. Makeup Revolution has since announced that there are going to be 30 shades in this range in the new future. As always I got pulled into this hype mainly due to it being a high end dupe and the price. It costs just £4, yes just £4! Sophiedoesnail did a really good swatch video and review. 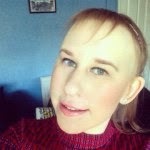 I find her great to watch as she is fair skinned like me, and I found it super helpful to try and find my shade. I settled on the shade C4 originally as it is for light skin tones with a neutral undertone. This is a pretty decent match for my skin but it is a tiny bit too dark. I think this is due to the undertone being very prominent which I cannot complain about, but I am a mix of neutral and pink undertones. I have been using this for at least 6 weeks now which I think is enough time to give a detailed review, I literally bought this on its first day of sales. About 4 weeks ago when shopping in Superdrug I decided to get a back up, due to the C4 having the slightly too dark undertone I picked up C3 which is for fair skin tones with pink undertones. The undertones to this are perfect for me, much better than C4 but it is a little bit too light. However, I find this works well with my lighter foundations, and C4 works well for my darker foundations. I think next time I should probably try out C5 as that is for light skin tones with pink undertones, however when I have looked at swatches it looks way too dark. I will have to swatch in store and see what it looks like in real life. 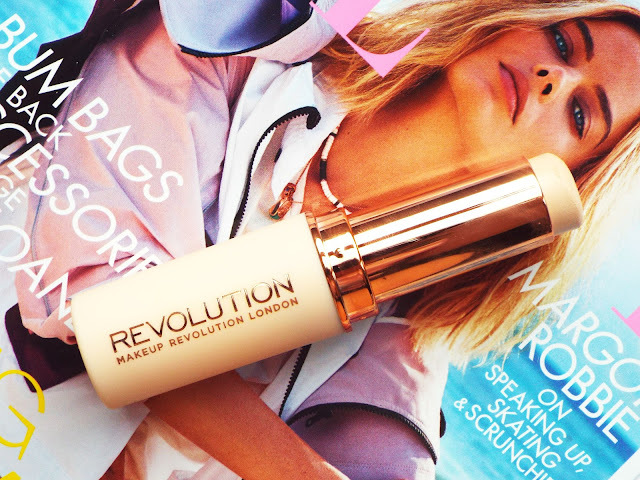 This is a lightweight concealer which applies sooo easily. It comes with a big doe foot applicator which I love, you can hear that the bottle contains a vacuum when you pull the applicator out which will keep it from drying out. The size of the applicator means you can easily get it in all the areas you want it with no fuss and it takes very little time. This has a very creamy consistency which I love as it glides over the skin without needing to drag the product in anyway. 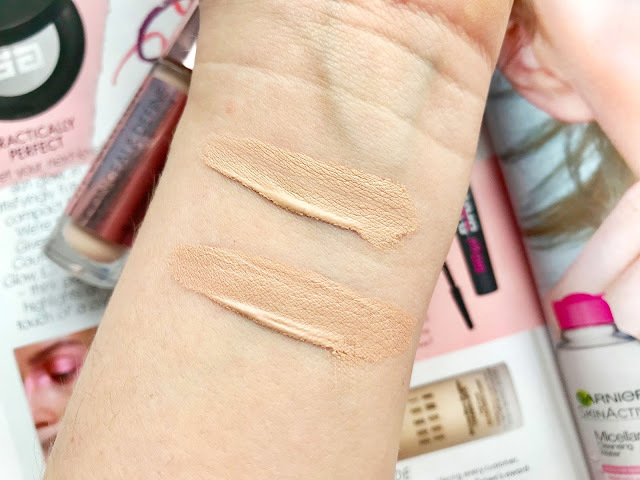 Due to its consistency it has been compared to Nars' radiant creamy concealer, and I have just swatched them next to each other and they are very similar. The Nars version it is a little bit thicker, whereas the Makeup Revolution one has more fluidity to its texture. 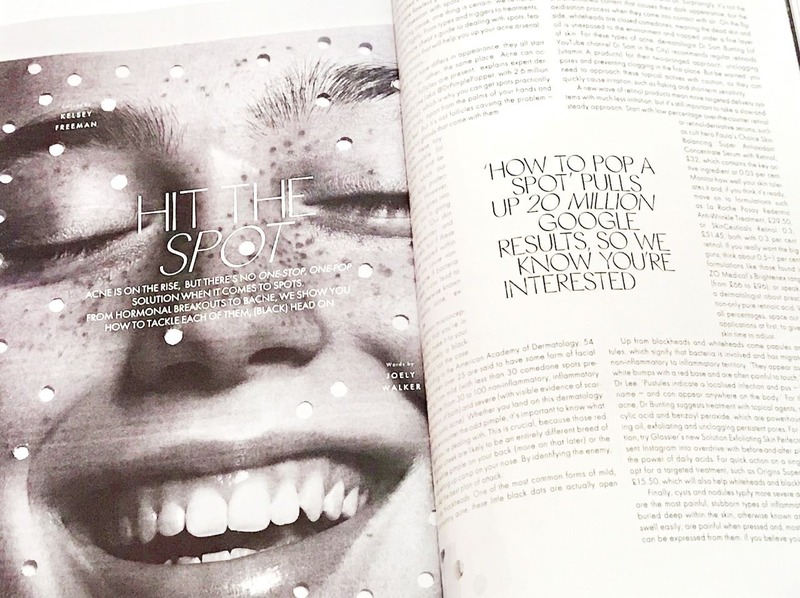 Both of these are high coverage which are buildable without looking cakey. I think this Makeup Revolution concealer is a dupe for the high version. The only difference is that the Nars one has a little more of a radiant finish, whereas the Makeup Revolution has a demi-matte finish. I have tried soooooo many concealers over the years, and I am definitely a good candidate to try out the full coverage and long wearing claims. When I am at work from waking up to walking through the door at night, my makeup is on my face for 14 hours. This stays in places for a good 5-6 hours before any wear can be seen. 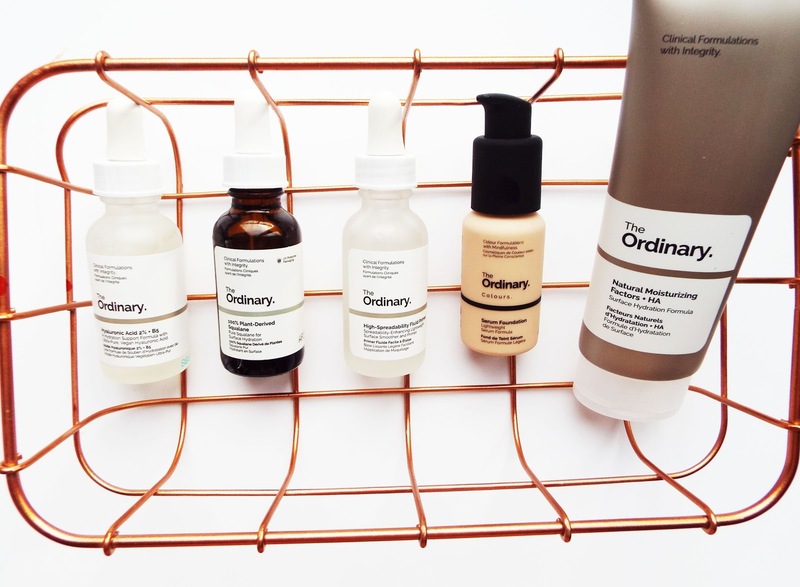 I think this would be fine for all skin types. When I first bought this my skin was dry with some oily areas, and I was honestly telling everyone to buy it. I was literally wearing it everyday and that was the reason why I went for a backup. Since then my skin has got very dry due to my medication, and I have noticed that is has been collecting in areas of dry patches. To be fair, I have found that all my base products have been doing this so I do not think it is necessarily this product. I have seen a lot of discussion surrounding the amount of product you get in this concealer bottle. Looking at the glass bottle you would think that it would contain a lot of product, when in fact it contains 3.4ml. In comparison with other concealers such as the Estee Lauder double wear which contains 7ml, and Nars' creamy concealer which has 6ml, so in the grand scheme of things it does contain a lot less product. I then went on a little mission with all of my other drugstore concealers, as I was intrigued to see how much they all contained. To my surprise my Sephora full coverage contained only 2.5ml, Seventeen stay time has 7ml and Colourpop no filter has 4ml. It is interesting as I never really look at the amount each product contains, but for £4 I think Makeup Revolution have had to make a cut somewhere to keep the product cheap. Therefore, you are obviously going to use it up quicker, hence me saying I bought the back up so soon. However, I still think buying two at £8 and having 6.8ml is still a bargain. 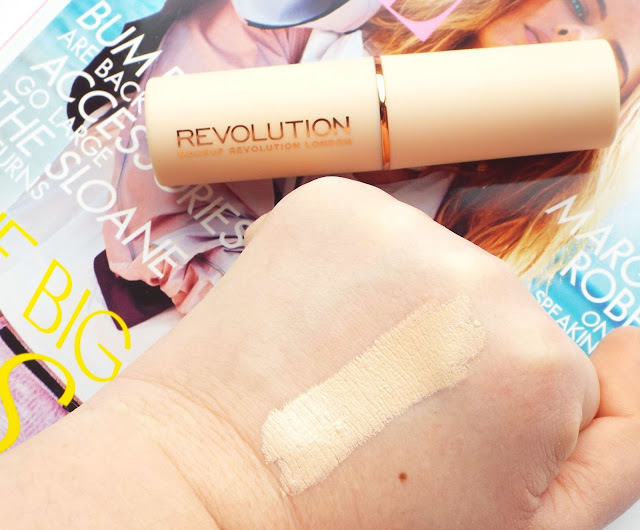 You can probably tell I have really enjoyed using this concealer, and it is by far one of the best drugstore products from any brand to be released in a long time.